Memize! is a simple app that allows you to create flashcards – cards with paired information on front and back of each of the cards (e.g. language translations, geographical facts, etc.). To download, visit the Apple store. You can choose which side of card you want to see at any point of time. To view the matched pair, just flip the card. You can also 'Remember' a card so it doesn't show up frequently or 'Shuffle' so you don't remember the order of cards! 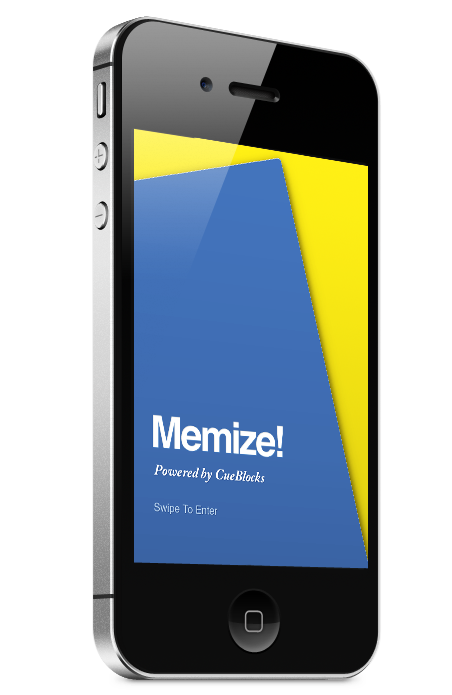 What to love about Memize!